Kendrick Lamar netted 11 nominations, let’s see how many he can take home with him. 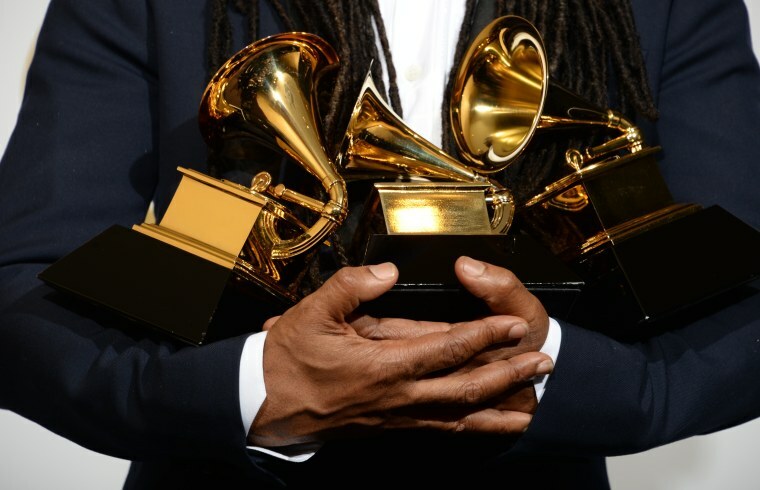 The 58th annual Grammy Awards are taking place in Los Angeles tonight and The FADER will be serving you up to the minute coverage. Kendrick Lamar is the night's most nominated artist, with 11 nods to his name, followed closely by The Weeknd and Taylor Swift. The schedule for performances is also insane, with Rihanna, Adele, the cast of Hamilton, and Justin Bieber set to take the stage. The pre-telecast awards start at 3:30 p.m. est and the actual awards begin at 8:00 p.m. est. This post will be continually updated with all of the night's winners. Dave Audé, "Uptown Funk (Dave Audé Remix)"
Taylor Swift f. Kendrick Lamar, "Bad Blood"
Skrillex, Diplo, and Justin Bieber, "Where Are Ü Now"
Kendrick Lamar f. Bilal, Anna Wise, Thundercat, "These Walls"